TCL Communication presented two new Alcatel Linkzone LTE hotspots at the MWC in Barcelona. The Linkzone Cat7 Hotspot can achieve speeds of up to 300 MBit/s in the download and up to 100 MBit/s in the upload, while the other one Linkzone Cat12 Router can reach up to 600 MBit/s in the download and up to 100 MBit/s in the upload. However, both the two LTE hotspots don’t have a display, so the operation takes place either via app or browser web interface. 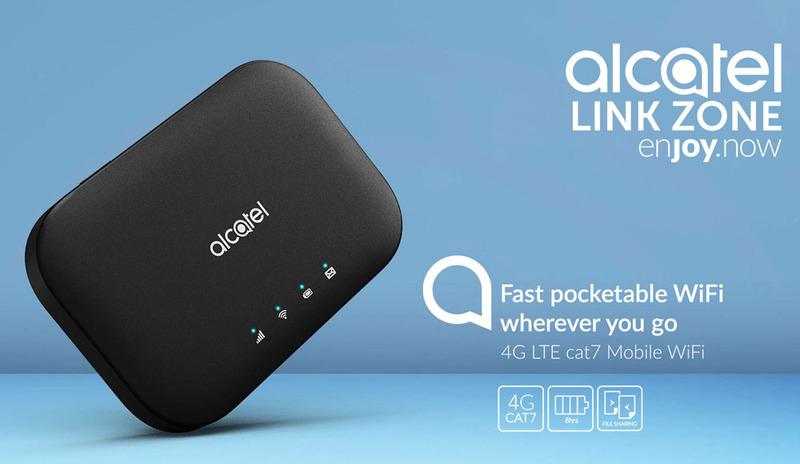 The Alcatel Linkzone Cat12 LTE Hotspot comes in a black case with a 4,300 mAh battery. According to the manufacturer, the operating time is about 15 hours; LEDs on the front indicate the operating status. If required, the device can also be used to charge other devices (power bank function). The antennas for mobile radio and for WLAN are firmly integrated in the housing, but the connections for 4G external antennas do not exist. Even a MicroSD memory card slot is not integrated with the Alcatel Linkzone Cat12, which feature was often found at mobile hotspots. The WLAN module of the Linkzone Cat12 works according to the standards 802.11a/b/g/n/ac and allows up to 32 users at the same time. On request, two WLAN names can be sent in parallel. The wireless speed is at a maximum of 867 MBit/s according to the manufacturer. 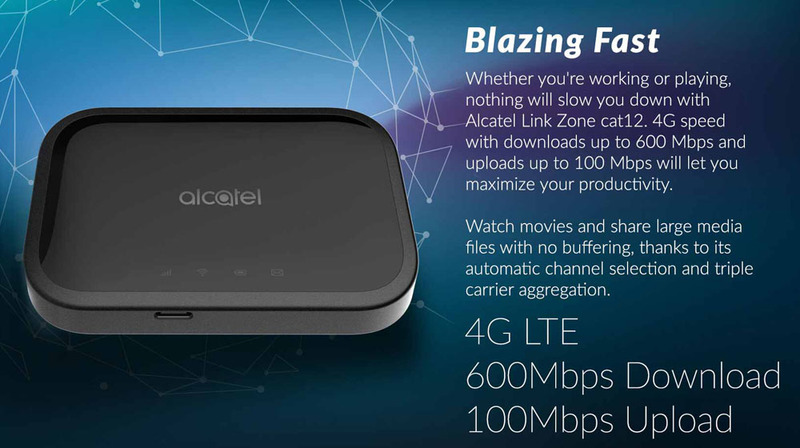 And the Alcatel Linkzone Cat12 LTE Hotspot will be available “later in 2018”. 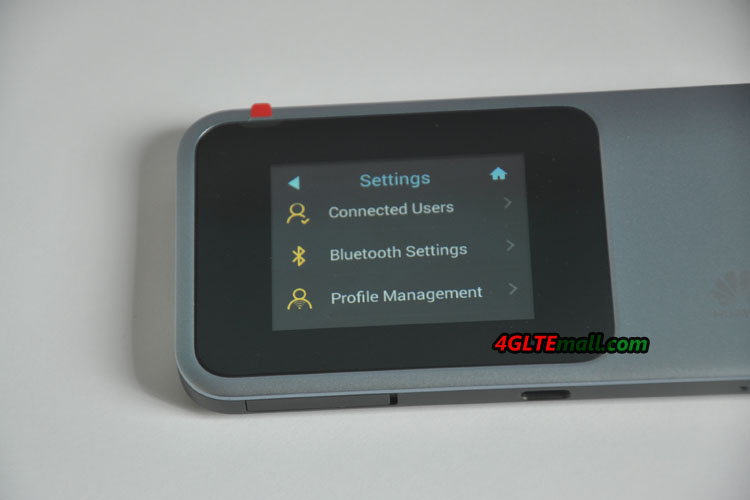 The Alcatel Linkzone Cat7 LTE Hotspot is the small sister model to the Linkzone Cat12. And the Linkzone Cat7 is much cheaper based on weaker specifications. 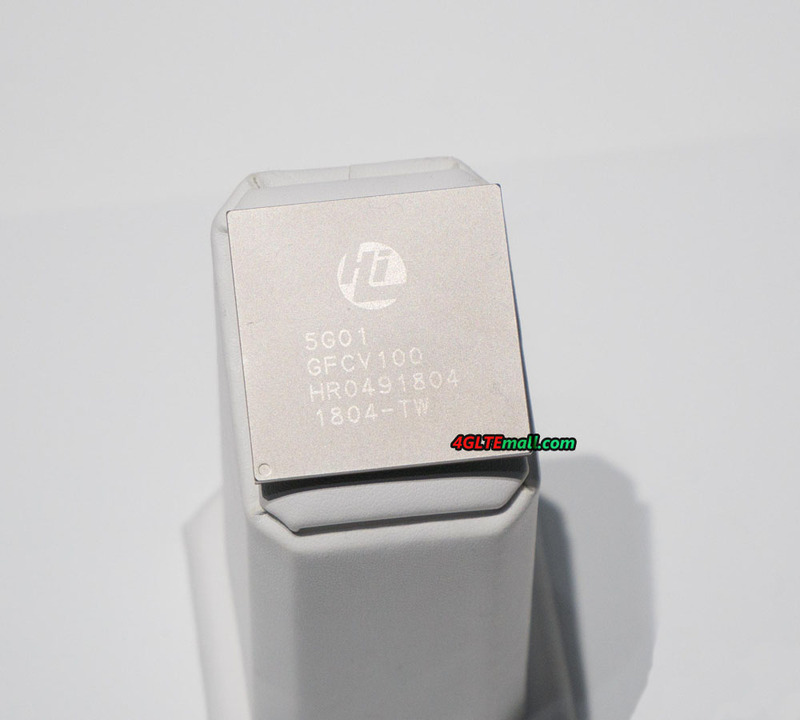 The battery has capacity of 2150 mAh, which is significantly lower than the linkzone Cat12. The battery life is advertised with up to 8 hours. Regarding the WLAN, there is no difference to the more expensive Cat12 model: the wireless module operates on the standards 802.11a/b/g/n/ac at 2.4 and 5 gigahertz and allows up to 32 users at the same time. On request, two WLAN names can be sent in parallel. The WLAN speed is a maximum of 867 MBit/s. 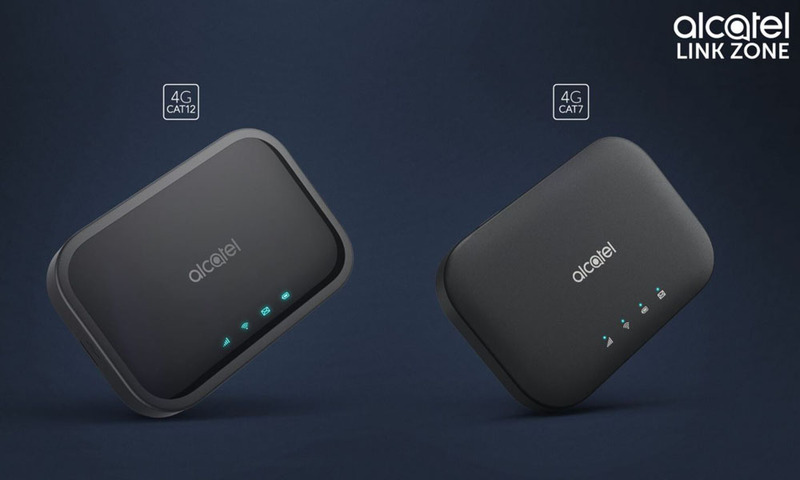 It is pleasing that both Alcatel hotspots support all the frequency ranges that are currently important for Europe, including Band 1, 3, 7, 8 and 20 as well as Band 32 (1500 MHz). The 1500 MHz band will be used as Supplemental Downlink (SDL) in the future at Vodafone and Telekom to enable faster downlink speeds. The Huawei E5788u-96a Gigabit LTE Hotspot is now available for some network providers in Europe. The mobile WLAN router is currently the fastest mobile hotspot in Europe with speeds of up to 1 GBit/s. 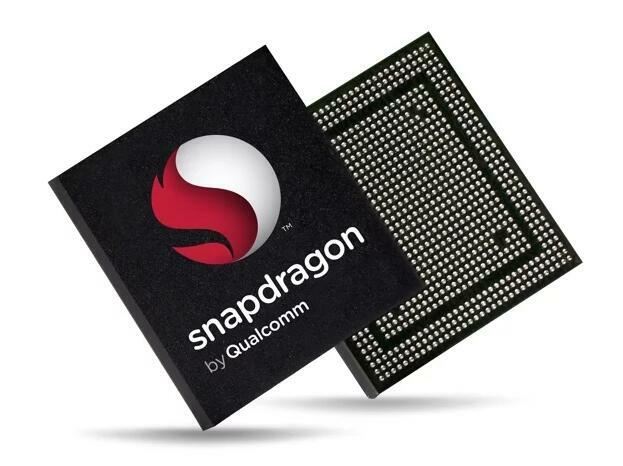 The modem chipset comes from HiSilicon, a subsidiary of Huawei. Also on board are a large color display and a WLAN extender function, the device is charged via USB type C interface. 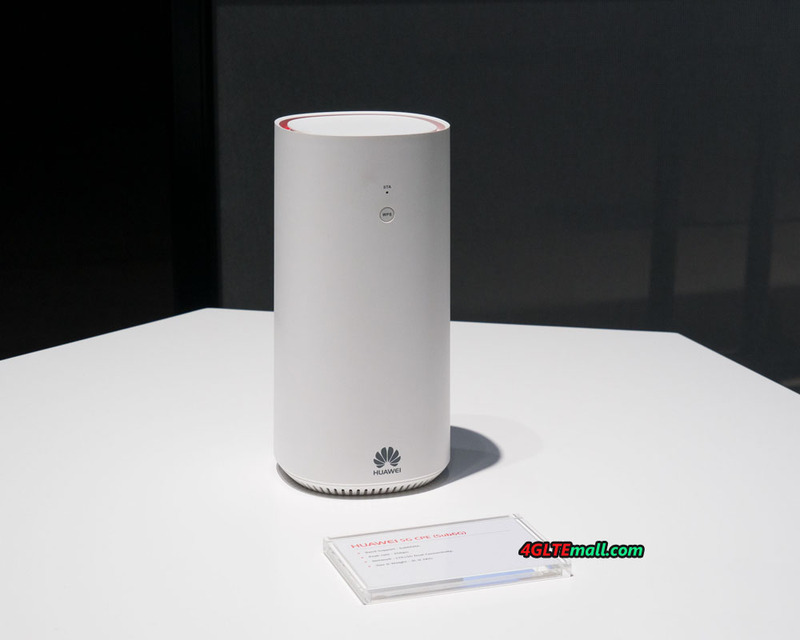 The Huawei E5788’s modem supports LTE Cat16 (Category 16) at speeds of up to 1Gbps downlink and up to 100Mbps uplink, as long as the mobile network is able to handle those speeds as well. In addition to LTE, UMTS with up to 42.2 Mbit/s in the download (DC-HSPA+) and up to 5.76 Mbit/s in the uplink and GSM/EDGE are of course supported. 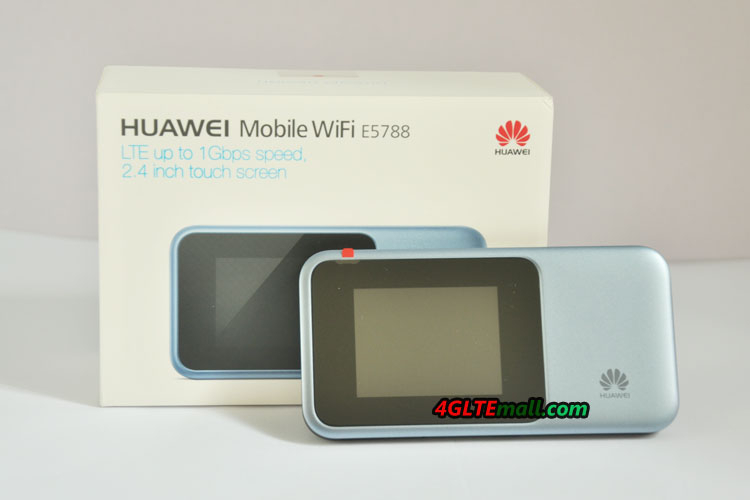 The WLAN module in the Huawei E5788 operates in the frequency ranges around 2.4 GHz and 5 GHz. The WLAN Extender function is also available, so you can use an existing wireless network as Internet access and saves data volume from the mobile data plan. Once configured, the E5788 automatically connects to a known WLAN within range. 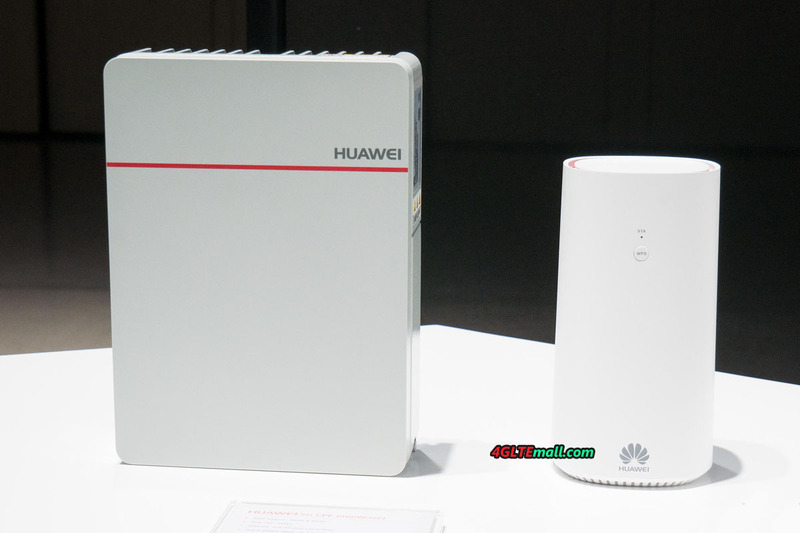 Even if the Huawei E5788 offers an extremely fast modem – some disadvantages are already apparent without a detailed test on the data sheet. So the battery is not changeable and there are no connections for an external LTE antenna. Also missing is a RJ45 Ethernet LAN port, which could easily pass on the extremely high speeds of the modem to other devices. Last but not least, of course, the high price of currently over 300 € is also a big disadvantage – similarly equipped devices with a slightly weaker modem, there are already for about half of the price. 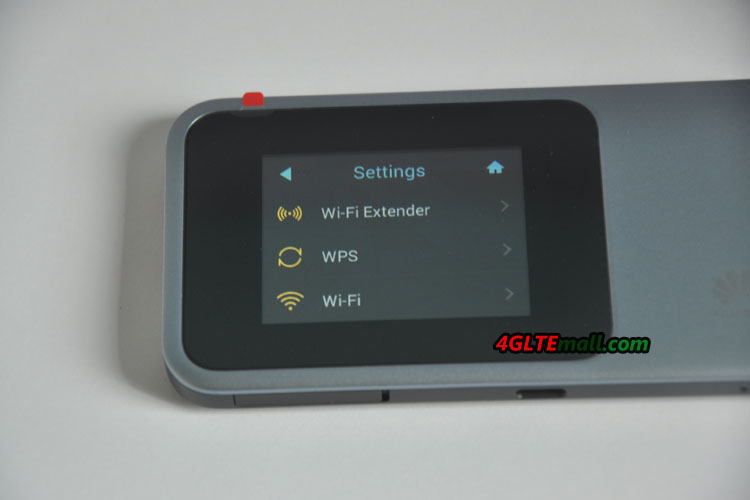 If you are also satisfied with a 600 Mbps LTE modem, you should definitely take a closer look at the Netgear AirCard 810 hotspot. This also offers a touch screen, but also has a removable battery and the ability to connect external mobile antennas. If even 300 Mbit/s or LTE Cat6 is sufficient, there are many more choices available. For example, you could look at the Huawei E5885 hotspot, which comes with a huge 6,400 mAh battery and also has a special RJ45 Ethernet LAN port integrated.